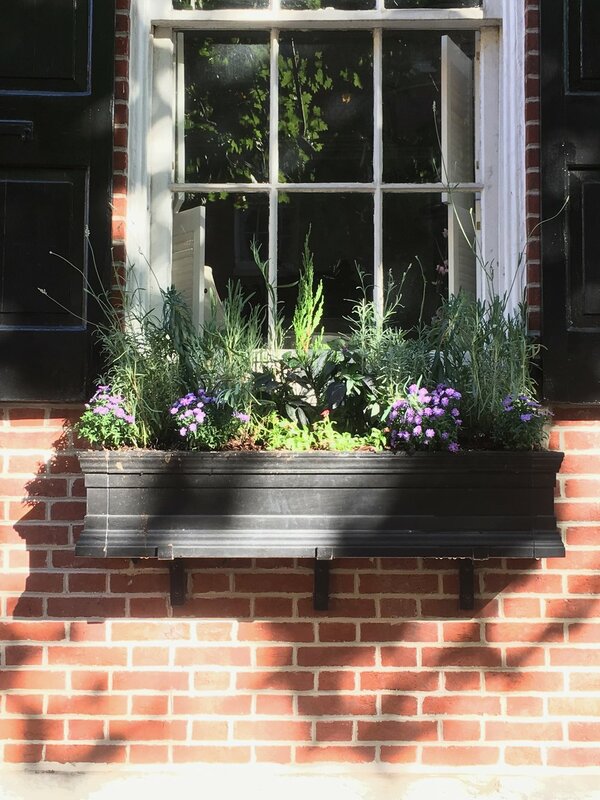 Window boxes can add instant beauty to the front of your home. Window box plantings are seasonal and often use plants that are annuals (the entire life cycle of the plant is in one growing season). Perennials (plants that survive through several growing seasons) and small evergreens can be used as foundation plants, with annuals popped in for color and variety. 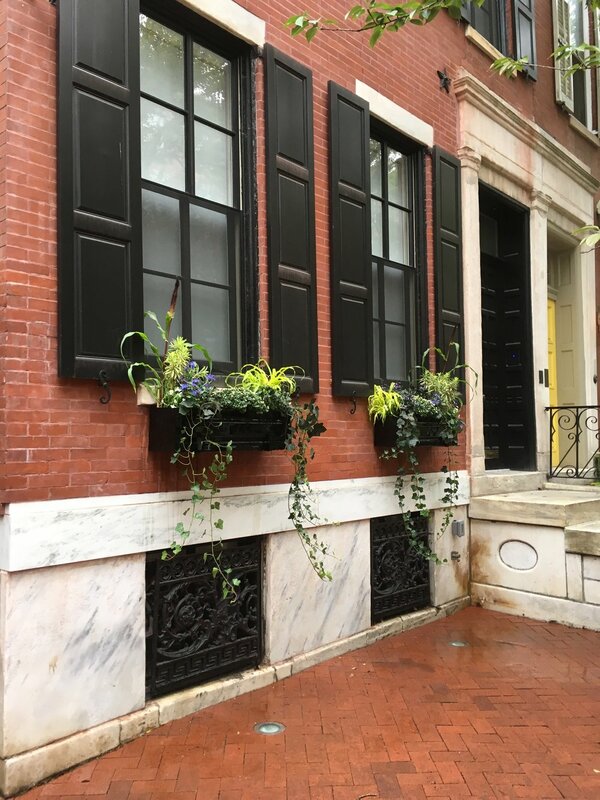 City Planter carries window boxes in many sizes and styles. If you do not see anything that you like in the store, we are able to special order other styles and sizes of window boxes for you. Special orders may take between 4-6 weeks to arrive and it is important to know that we do not install window box containers. Our store offers a wide variety of outdoor plants that are perfect for window boxes and containers. 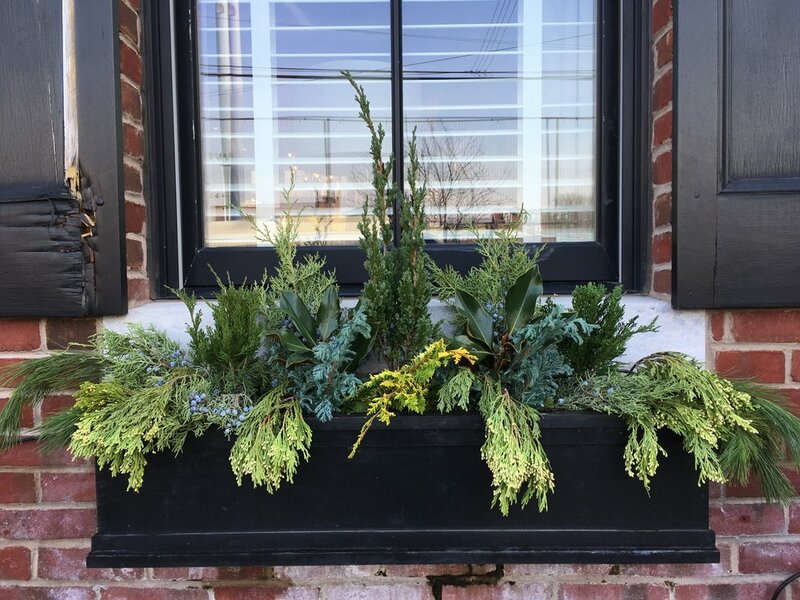 The time of the year, usually dictates the type of window box plantings that we are able to offer. We are happy to plant your window boxes and containers for you or we can help you select plants from our inventory to do it yourself. Either way, we are here to help. A winter planting filed with "Windowbox Babies" and evergreen cuttings. This planting will carry you from late fall through early spring. Early Spring plantings begin in March and can include pansies, osteospermum, dianthus and other cool-weather annuals. This planting will last until the weather is consistently in the 80's, when the heat of the summer causes the plants to stretch. Summer window box plantings offer the most diverse range of colors and textures. Your plantings will be determined by the amount of light that your window boxes receive. We plant summer annuals from May until mid-July, or until selection of plants at our local nurseries is depleted. In the Fall, we return to the cool weather annuals. In addition to flowers, we enjoy using ornamental peppers, kale and cabbages to create stunning window box displays that will look gorgeous from mid-September until we experience freezing temperatures. 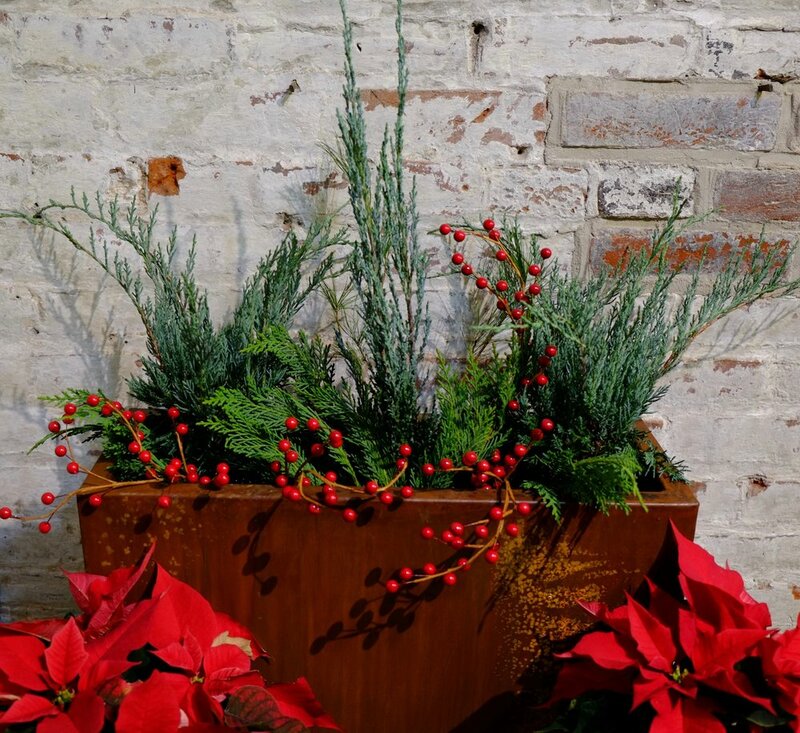 Winter brings window box babies (small evergreens), and cuttings of holiday greens and berries, which will carry you through the winter until it is time to think Spring! *Because of their small size, window boxes require vigilant watering. In the heat of the summer, you may be watering once a day. Be sure when you water, you are watering thoroughly, more than a gallon per plant is usually required. It is unwise to count on rainfall to keep your plants hydrated. Please see our watering guidelines for information on how to know if you are watering enough.